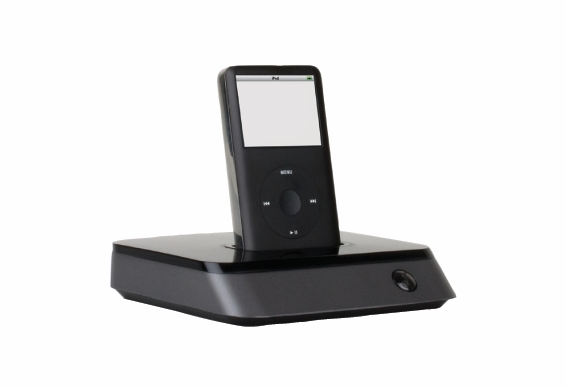 The iPort FS-23 free-standing digital media system for the iPod®/iPod touch® provides the freedom to control your iPod/ iPod touch from an on-screen video interface on any connected TV. Using the included iPort remote control, an easy-tonavigate menu system may be selected for music, videos, playlists, songs, artists, albums, and more. iPod settings for equalizer, repeat, shuffle, and other controls may also be controlled on-screen. Use the included cables to connect the iPort to any TV or audio-video component with audio and component video ports. 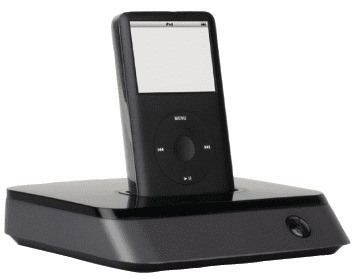 The iPort FS-23 supports music and video playback from most iPod models. Using iPortNetSync software (available free at iportmusic.com), you can also synchronize your iPod with iTunes® on any networked computer. The FS-23 menu can be viewed in six different languages, and its video output can be easily configured for PAL or NTSC settings for use worldwide. Optional Balanced Video Upgrade Kit (part number 70123) delivers video up to 250 feet (76m)from the iPort. Optional Balanced Audio Upgrade Kit (part number 70122) delivers audio up to 500 feet (152m) from the iPort.